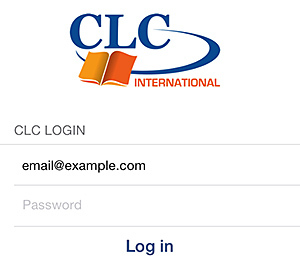 To access the CLC eReader you need to log in, if you already have an account. If not, you may create an account directly in the app. The library is accessed by clicking the first icon on the bottom of the screen. This will show all the titles you have available. To synchronise with eBooks recently purchased, pull down from the 'Library' to refresh. Pressing a particular title will enable you to open the eBook. The first time you enter an eBook it will download from our servers which may take a few moments. After that, the eBook can be accessed and read in the app even if you are offline. 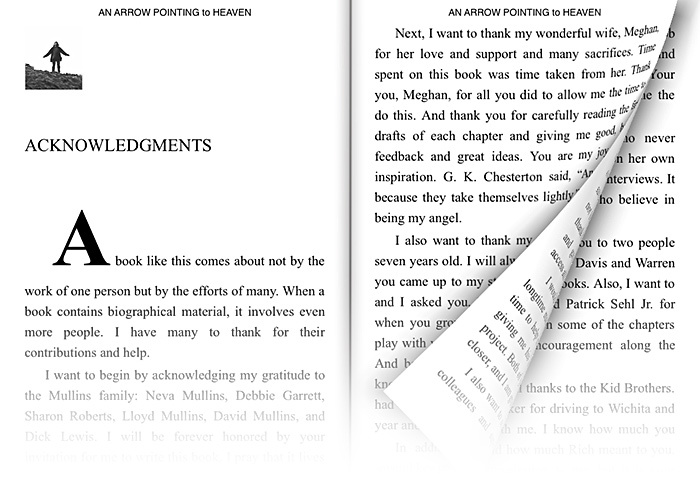 The pages of the book are turned by touching the right hand side of the screen, or by swiping right to left. To turn back, the opposite actions are used. Sections of text may be highlighted by pressing the screen (for longer than a ‘touch’), and then extended by dragging the circles to cover more text. Note: a maximum of 140 characters can be shared. With the text highlighted, you can share the selected text and the book title via text, email or Facebook. 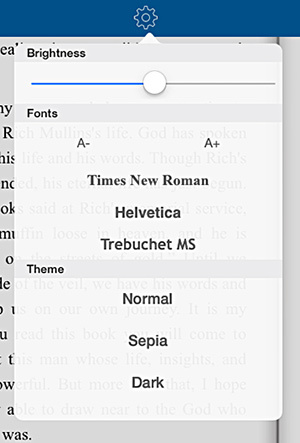 By tapping on the 'Settings' icon from the top of the reading view, you can change your reading options, such as brightness, font size, font or colour. By selecting the ‘Shops’ option on the bottom of the Library screen, you will be presented with a list of all CLC bookshops around the world, starting with the nearest to your current location. The distance to each shop is given under the city name. By selecting a particular shop, you will be given contact details, the map location, etc. Below the map you may select ‘Directions’ which will direct you from your current location to that shop. Please Note: This facility will take you out of the eReader App. 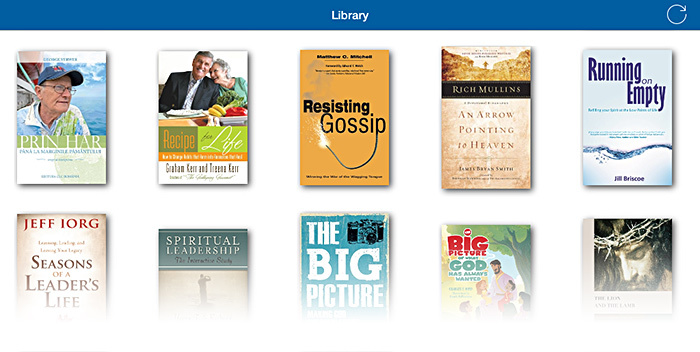 To Log out from the app, select the 'Settings' icon on the main Library screen and select Log out. This will return you to the Log In screen, which will remember your Username.